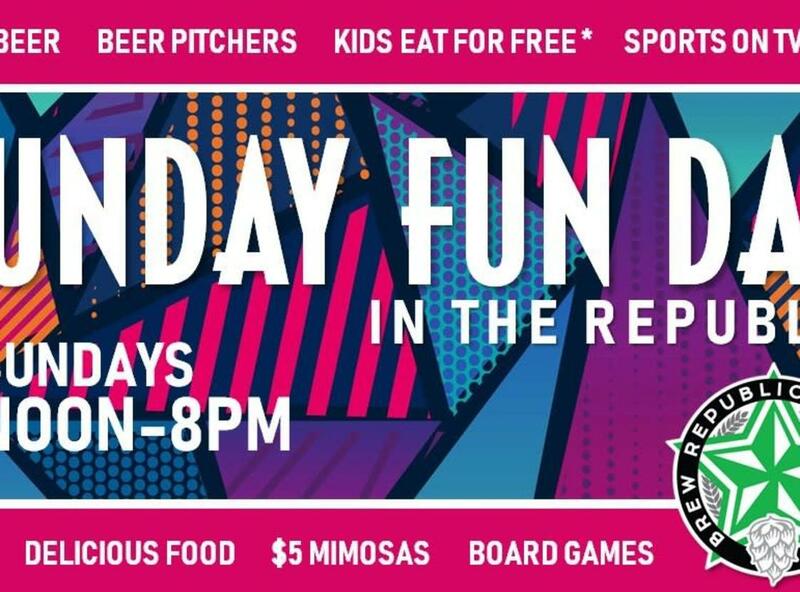 Sunday means #SundayFunDay (patent pending) in the taproom, featuring beer, pitchers, brew pong, $5 mimosas, board games, NFL football and pro sports on TV, and delicious food. Plus, kids eat for free! * Doors open at noon. 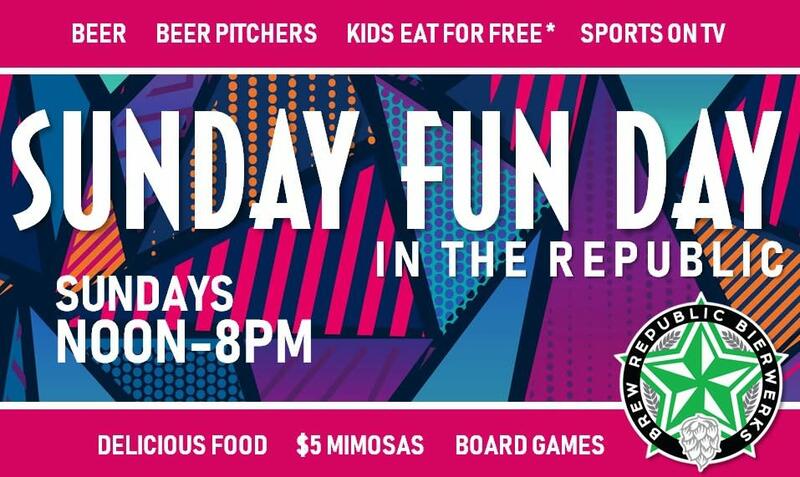 On NFL games, check our our incredible game-day deals: https://brewrepublic.beer/nfl-gameday-deals/!